For Sam Rad – life changed drastically after he had a major car accident as a young adult. He recalled the morning everything turned upside down while on his way to work at the Royal Prince Alfred Hospital in Sydney, Australia. “The morning of my accident I forced myself to get out of bed, the day before had been dreadful,’ Sam said. “While I was making my coffee Dad asked what was wrong, I told him that last night I slept dreadfully and this morning I was feeling even worse. Before leaving the house that morning Sam’s father urged him to drive carefully. No one knew that it would only be a matter of time until his life would be changed forever. “I was driving to work on the highway when all of a sudden I had a black out… bang into the back of a semi trailer,” he said. Sam was rushed into emergency surgery and would endure the next eight months confined to a hospital bed. “I had a drain running out of my head for months because apparently I had a heart attack after surgery,” he said. The injuries sustained by Sam during his incident would ultimately hasten the development of early onset Alzheimers – a disability that affects more than 25,000 Australians under the age of 65. Dementia symptoms would result in the rapid decline of his proper mental functions, causing extreme memory loss and other difficulties. “I got out of hospital and that’s when my life started changing,” Sam said. Since his accident more than two decades ago Sam has continued to live permanently on the coast. It wouldn’t be long before he would become accustomed to the water based activities, and lifestyle that residents lived. 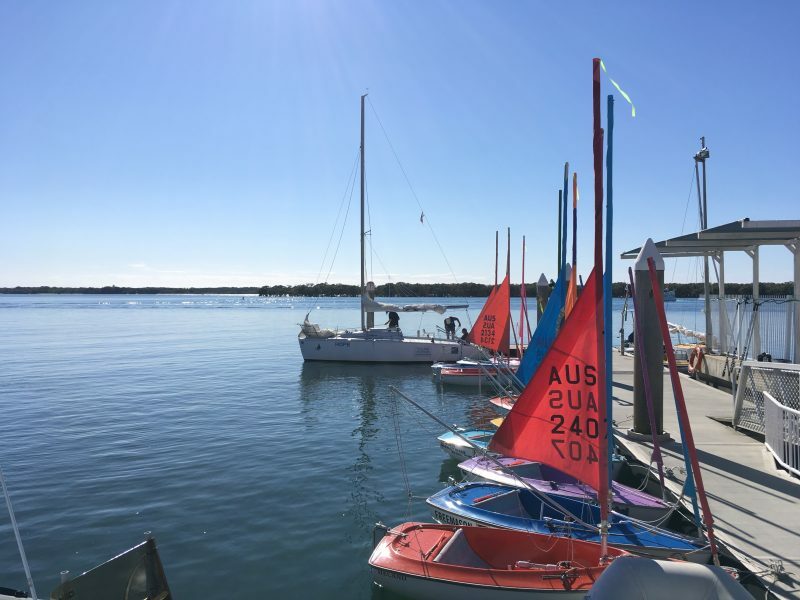 However, it wasn’t until a few months ago that he got to experience the wonder of the waterways for himself when he first discovered Sailability. 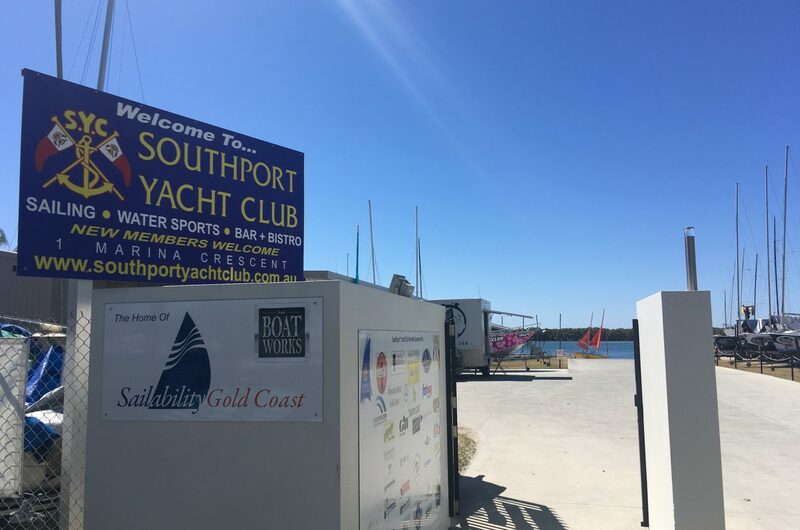 The Gold Coast chapter has been operating from Southport Yacht Club since 1997, beginning with only two small dinghies and no regulated government funding. Thankfully, the charity receives strong support from local Rotary clubs, and the wider boating community and now boasts a fleet of over 20 specially designed vessels. The program operates on a Tuesday from 9am catering to more than 70 disabled sailors who take part. 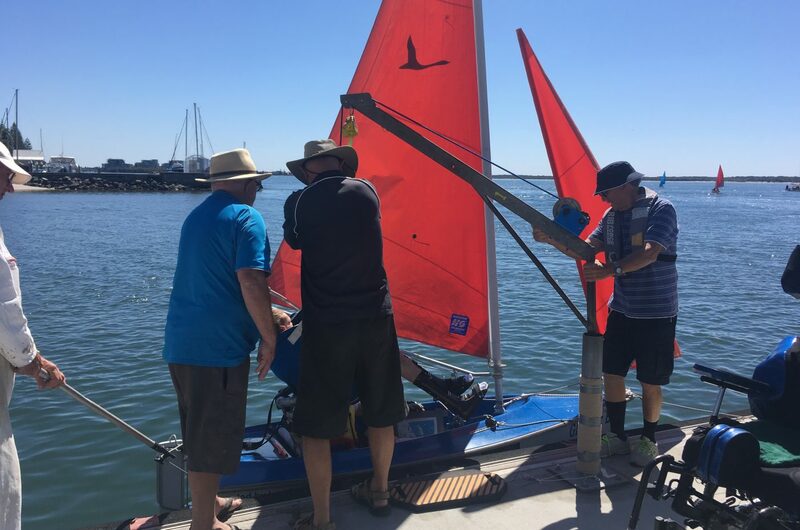 President of Sailability Gold Coast, Jon Simms was elected to his role in November last year and coordinates more than 140 volunteers in the club. He says it’s the sailors’ reactions to the program that make the hours of work behind the scenes all worth it. “We always get a big smile out of people, usually they’ve just been winched out of their wheelchairs into a boat which is a bit of a thrill in itself,” said Mr Simms. 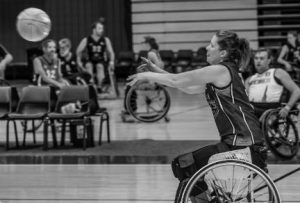 The not for-profit organisation aims to give “freedom on the water regardless of ability” and was first established in the United Kingdom 35 years ago. Since then Sailability has spread throughout the world with each location run independently. 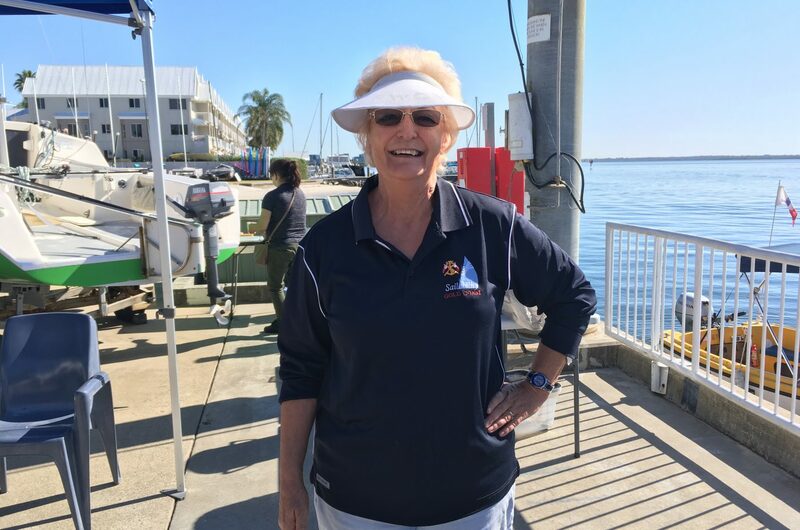 Mr Simms admits, all of this wouldn’t be possible without the dedication and passion of the club’s volunteers, such as Sue Eynstone-Hinkins, who works on the dock at Southport. “It’s my job to get them into the boats and when you look at their faces it’s just beautiful,” Sue said. Mr Simms is adamant there are many things that make sailing unique for the disabled; he believes one of the differences that set it apart is that it is a great leveller. “It doesn’t matter if you’re missing a few legs, a few arms or anything else; once you’re in the boats and starting to sail you’re the same as everybody else,” he said. Jolene Foster is a carer whose client has been attending Sailability sessions for 10 years. She said the independence the program provides is like no other activity available to people with severe disabilities. “Being with someone else other than me and able to communicate with the skipper is probably the biggest thing,” Ms Foster said. She admits that when classes are cancelled due to bad weather it usually turns out to be a very hard day with her client. “I definitely notice an increase in behavioural issues on days when it’s called off – hence the reason we keep coming back for more,” Ms Foster said. For Sam it is the serenity of the water that keeps him coming back. “I love it; every week I’m up here, it’s the sea breeze and the water it’s just so peaceful,” Sam said. It is little wonder why Sailability has become so successful throughout the world. 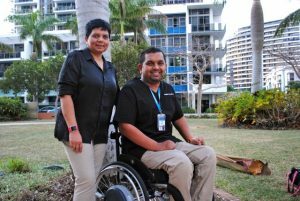 The program and its many volunteerrs turn the tables on disability week in week out. 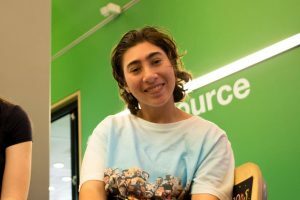 For people like Sam, who are confronted with their condition in almost every aspect of their life, the organisation represents far more than just a social gathering. It represents a safe place for all, it represents unity in all, and it represents love through all. Sailability is a place where the restrictions of disability and the passion of mankind’s ability collide…what a spectacular place it is!